Dutch parliamentary history starts in 1848, so that’s where this historical overview also starts. In this article we’re going to take a look at the 19th-century ruling group, the liberals, their challengers, the protestants, and their struggle, the Antithesis. Dutch political history until 1918 is mostly the story of, first, the struggle between liberals and conservatives on the nature and interpretation of the constitution, and, after that, the struggle between the victorious liberals and the protestants on the latter’s wish to constitute a “sub-society” within Dutch society as a whole (with the state footing the bill). Leader of the protestants was the indomitable Abraham Kuyper, who, more than any other individual, has shaped the structure and workings of Dutch politics. During these struggles the catholics were the rather passive allies of first the liberals, and later the protestants. The map shows the 1849 situation, which isn’t that different from the 1600 situation. The green areas are predominantly catholic, the red ones predominantly protestant. Population was concentrated in the west, and the northern provinces, especially, were thinly populated. When the Netherlands achieved national independence in the late 16th century, the struggle against the Spanish oppressor was waged by a motly coalition in which the members of the newly-established Dutch Reformed Church played an important role. As a result, the new Dutch state became nominally reformed, and only members of the Reformed Church were allowed to hold political office. Officially the Dutch Reformed faith was the only legal one, but in practice catholics, Jews, and members of the small protestant denominations were allowed to exercise their faith as long as they weren’t too obvious about it. The borders between catholic and protestant were drawn in the 1590s. In that time, the Reformed had conquered state power in the newly-minted Netherlands, while the former Spanish overlords, who occupied about one third of the territory that is currently Dutch, remained wed to the catholic cause. In those days religious confusion was widespread; it was not unusual for one village priest to dispense both catholic and protestant rituals. The two churches were not amused and started up a conversion programme. The catholics were more efficient, and they had tradition and the power of the state on their side. Thus the southern provinces and some enclaves in the east which were occupied by the Spaniards around 1600 are still catholic. The protestants were more circumspect; they didn’t want a second religious front in their rear while struggling for independence, and there was always a gap between the hard-core calvinists and the more moderate ruling classes. Besides, in many villages and towns particularly active catholic priests, sometimes supported by the local catholic nobleman, kept their flock loyal to Rome. Thus, while the south is uniformly catholic, the north became more of a patchwork, with the protestants dominant, but with many pockets of catholicism. The two southern provinces of Brabant and Limburg were conquered in the 1620s and 1630s, and by then had become uniformly and stubbornly catholic. The fact that they weren’t allowed representation in the States General and were ruled by northerners only strengthened their faith. After the 1795 revolution catholics, other protestants, and Jews were emancipated. We can safely forget the latter two groups, who have never played an important role in politics. The catholics, though, are vital to understanding the Dutch political system. Despite this formal emancipation political power remained in the hands of the old Reformed aristocracy. These rulers rarely called themselves protestants in a political sense, though. Their faith played a minor role in their political actions. Instead, they divided themselves in liberals and conservatives, with the latter supporting royal prerogative and the former the newly emerging power of parliament. 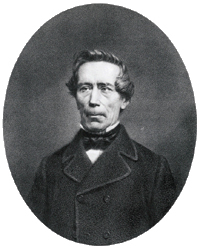 Johan Rudolph Thorbecke (1798-1872), creator of the constitution of 1848, prime minister 1849-1853, 1862-1866 and 1871-1872. Originally a lawyer, Thorbecke became an MP in the pre-1848, indirectly elected parliament. He was part of the small liberal opposition against the conservative, royal government, and in 1844 published a proposal for revision of the constitution. Although this proposal failed politically, it caused a stream of publications and an increased interest in constitutional matters. His heydays came with the constitution of 1848 and his ensuing prime-ministership. After his fall in 1853 he was twice more called to lead government, and in between usually sat in parliament. Parties didn’t exist back then (and Thorbecke wouldn’t have liked them), but it’s best to see him as the leader of the liberals. After a generational change in the 1860s he became the leader of the old liberals, who were opposed by the young liberals. 1848 was yet another revolutionary year. Starting, as usual, in France, where the monarchy was abolished for the second time, the revolution even spread to hitherto-safe bastions of conservatism such as Prussia and Austria, and the conservative European system was tottering on the brink of liberal anarchy. Confronted with this unpleasant reality, King Willem II, who had hitherto ruled as an all-but-absolute monarch, “turned from conservative to liberal in one night” and called on liberal leader and eminent lawyer Thorbecke to create a new constitution along liberal lines. Thorbecke’s work is the starting point of the current Dutch constitution, and it covered vital matters such as the position of parliament and King. Government would be responsible for all acts of the King, and a law was only valid when, in addition to the King’s signature a counter-signature of a minister appeared on it. As to parliament, it was to be elected directly, in a district system, by the wealthiest 10% of the male inhabitants. The new constitution was a huge step forward from the previous system, where elections were indirect and restricted to an even narrower group, and parliament had little power. Most electoral districts were double districts that delivered two MPs, and half of parliament was elected every two years. One MP was supposed to represent 45,000 people, and because population kept growing, parliament did, too. The electoral table was to be revised every ten years or so, and this gave rise to enthousiastic gerrymandering of the constantly changing electoral districts. In 1849 Willem II died to be succeeded by his son Willem III, who appointed Thorbecke prime minister (or rather, former; we’ll get back to that below). These new ideas gave rise to an entire system of constitutional debates, and the main political cleavage of that age was the one between the conservatives, who generally supported the prerogatives of the Crown, and the liberals, who wanted more power for parliament. It would be wrong to see the conservatives and the liberals as political parties in our sense of the word. There was no party organisation (in fact, leading thinkers rejected the party system as a whole), and whether a particular member of parliament was a liberal or a conservative was sometimes hard to say. There were many moderates who voted now liberal, then conservative, while others started out as liberals and grew more and more conservative as they advanced in years. Socially, all members of parliament came from the upper or upper middle class; there was little difference between liberals and conservatives here. 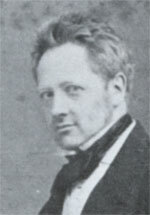 Guillaume Groen van Prinsterer (1801-1876), politician and historian, MP 1849-1857 and 1862-1866. He was the first to speak out against the French Revolution and is considered the founding father of the anti-revolutionary movement and protestant politics in general. Groen started writing down his ideas in the 1830s. Basically, he held that the state needed God as the font and origin of all authority; and that a state without God was unthinkable. 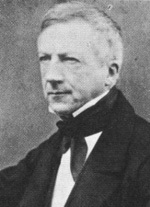 Although he acquired a moderate following, Groen remained a thinker more than a practical politician. Besides, the concept of political parties hadn’t been invented yet, so he he was unable to mobilise this following to gain political power even if he had been willing to do so. Groen also played an important part in the writing of Dutch national history by his publication of the correspondence of William of Orange, leader of the Dutch revolt of the 16th century. Groen also popularised the view of the Dutch revolt as a protestant movement against the catholic Spaniards. The few members of parliament who thought primarily in a protestant frame of mind called themselves anti-revolutionaries, and in the early years they were the orthodox right wing of the conservative movement. The anti-revolutionaries considered the French Revolution an affront to God and rejected the theory of popular sovereignty, instead pointing to God and the Crown as the holders of natural authority. Besides, they wanted faith to play an active part in politics. In practice that meant the initial anti-revolutionaries (mostly party leader Groen van Prinsterer and at most two or three henchmen) supported the Crown in its struggle with parliament, placing them solidly in the conservative camp. In addition, the anti-revolutionaries insisted on bringing the protestant faith back to the state-sponsored educational system. This so-called “school struggle” would be a defining factor of Dutch politics for many more years. The anti-revolutionaries didn’t amount to much politically until Kuyper came around. It was Kuyper who organised the loose and rather marginal anti-revolutionary denomination into a party. All southern members of parliament were catholic as a matter of course, and some northern members as well. They occupied quite a few seats, but back then catholics were still second-rank citizens, if not in name then socially at the very least. Among catholic MPs, the concept of common action for bettering the fate of catholics throughout the country was slow to emerge. On a modern left-right scale, these catholic representatives were solidly reactionary. Still, they allied themselves to the liberals, who, more than the conservatives, were willing to practice religious tolerance. Catholic self-esteem was greatly boosted when in 1853 the Pope unilaterally restored the episcopal hierarchy in the Netherlands, appointing solidly protestant Utrecht as seat of the Dutch archbishop (as it still is today). Thorbecke and the liberals did nothing. Their constitution guaranteed freedom of religion, and if a certain church wanted to revise its organisational structure, that was an internal affair of that church, and had nothing to do with the state. This was a serious error of Thorbecke’s. The protestants, still the majority of the country, disagreed vehemently with the Pope’s action, and especially his total disregard for Dutch (protestant) history and sensitivities. A wave of anti-catholicism swept throughout the northern provinces. The protestant consistory of Utrecht took the initiative in requesting the rejection of the bishops, and of the Pope himself by the Dutch state. This request was addressed not to Thorbecke’s government, but directly to the King as protector of Dutch protestantism. In an Amsterdam mass meeting the petition was given to the King, who replied that he was unfortunately bound by the constitution and couldn’t help the protestants. This response diverged sharply from the “humble advice” the government had given to the King to point out the rights of the catholics, and call for religious tolerance. In other words, the King had acted without government’s consent. This is the crux of the liberal-conservative struggle that was to follow. How much independent action could the King take, both in cases like the petition and in appointing a government he liked? The worst part was that according to the new constitution, government was responsible for these royal acts. This created an impossible situation of a government divided in itself, with the King taking one action and the council of ministers another. There were but two solutions: either the King would switch to the government viewpoint, or he had to appoint a new government. Willem III decided to let Thorbecke go. Thus ended the first “liberal” government. Still, the fact that three of Thorbecke’s ministers accepted appointment in the subsequent “conservative” government shows that these party labels do more harm than good. Thorbecke personally was too liberal and too pro-catholic to go on ruling, so Thorbecke personally had to go. Politics were personal in those days. Jan Heemskerk (1818-1897), member of parliament 1859-1864 and 1869-1873, interior minister and prime minister 1866-1868, 1874-1877, and 1883-1888. He started as a moderate liberal, but became a conservative leader later during his career. In his first stint as interior minister, Heemskerk became the soul of the conservative government that tried to protect royal prerogative (as well as its own position) from parliament. He later admitted that the second disbanding of parliament was a mistake on his part. After his resignation he returned to parliament and became the leader of the conservatives. He wasn’t perfectly suited to that task, though, being a lousy speaker and hard to cooperate with. Also, conservatism had gone out of fashion: in 1873 Heemskerk was defeated by an anti-revolutionary. He returned as prime minister in 1874, when the liberals were hopelessly divided. He tried to negotiate in the school struggle by producing a compromise law, but after their 1877 victory the liberals voted his law down, and Heemskerk resigned. His last government was his most succesful one. Again he had to negotiate between liberals and anti-revolutionaries in order to pass the new constitution. In the end, after careful manoeuvring, he succeeded. When the new-style 1888 elections returned a clear christian majority, Heemskerk voluntarily resigned, thus setting a precedent that is followed to this day. In the end Heemskerk’s importance lies not in his politics, but in the constitutional examples he set by his 1868 and 1888 resignations. The Heemskerk era set the stage for the relation between government and parliament that we now consider proper. Parliament could reject laws or budgets, and in general ministers to whom that happened would resign. Occasionally a question was deemed so important that government as a whole threatened to resign. Governments didn’t resign after elections, but only after such an unsolvable conflict. At that point, the King appointed a new former, who would create a new government and become prime minister. The King had another option: he could disband parliament and call new elections. This is what happened when in 1866 the “conservative” Heemskerk government was criticised for the recent appointment of the colonial minister as governor-general of the East Indies. New elections were called, but during the campaign the King issued a proclamation that called on voters to vote conservative. This was widely seen as a bad move, and, true to the theory that government was responsible for the King’s deeds, the liberals mercilessly attacked Heemskerk. The voters agreed: although the conservatives won a few seats the liberals kept their majority. In 1868 a foreign affairs conflict caused the Heemskerk government to step down, but its resignation was refused by the King, and instead parliament was again disbanded and returned unchanged. This wasn’t going to work. If parliament would be disbanded every time it dared to disagree with government, and the King refused to appoint a prime minister whose political ideas were shared by a parliamentary majority, the country would be in a continuous state of election. The new parliament again rejected the foreign affairs budget and government resigned again. The King gave in; permanently, as it turned out. He appointed Thorbecke former, and the liberal leader created a government composed of people who had played no part in the recent struggle, and remained in parliament himself. This battle confirmed the rule that government had to be supported by a parliamentary majority at all times, and it significantly decreased the King’s power. After the Heemskerk fiasco the conservative movement lost much of its impetus. Essentially the conservative label dissolved over the next twenty years, with the seculars opting for the liberal label while the protestants took to calling themselves the anti-revolutionaries. In the mid 1860s the liberal/catholic alliance broke down into its constituent parts. The two groups had never really belonged together; temperamentally, all catholic MPs belonged on the conservative side of the divide, and it was only the anti-papism of the old-guard anti-revolutionaries that kept the catholics locked in an uneasy alliance with the liberals. The Italian situation made matters worse. The nascent kingdom of Italy threatened the secular powers of the Pope. Dutch catholics were solidly behind the Holy Father, and even sent thousands of young men to serve in the papal armies; something the liberals, who supported Italian nationalism, were unable to appreciate. The conservatives and anti-revolutionaries, meanwhile, sought to break the liberals’ power and could use the catholic votes. Therefore they struck an alliance in the Heemskerk era. When the Italians conquered Rome in 1870, the catholics called on government to take steps to restore the Pope’s worldly authority, but the liberals refused. (The idea found no support among the protestants, obviously.) Then the liberal foreign minister decided that, since the Pope was no longer leader of a sovereign nation, a Dutch embassy at his court was no longer necessary. This insult was the last straw. The catholics sort of naturally gravitated toward the nascent anti-revolutionary party, and it was a long time before catholics and liberals would cooperate. And keep the embassy question in mind. It was to become important in the Interbellum. 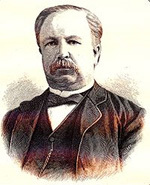 Abraham Kuyper (1837-1920), ARP founder and party leader 1879-1920, founder of the Gereformeerde church (1886-92), prime minister 1901-1905. Educated as a theologist and minister, he started out as a liberal Hervormde, but his flock converted him to a more rigid, Orthodox stance, which eventually led to the Gereformeerde Kerk and the creation of the ARP. Party leader since 1879, Kuyper was rarely to be found in parliament, preferring to lead the party from outside as editor-in-chief of his newspaper De Standaard. He fully supported the first 1888 catholic/protestant government, and in 1901, when the formation of a second such government was contemplated, it was clear that Kuyper would have to take part in it himself. The 1905 elections were a referendum on Kuyper, which he lost. When, after the 1909 elections, a new catholic/protestant government seemed inevitable, Kuyper was discovered to have given royal medals to ARP fundraisers. His prestige never quite recovered from this shock and his active political career came to an end. In 1874 the protestant minister Abraham Kuyper, a rising star in the anti-revolutionary movement, was elected to parliament. He didn’t exactly flourish there; within two years he was burned out by the parliamentary work and decided to retire. This turned out to be the start, and not the end, of his political career. More than a parliamentary politician, Kuyper was an inspired leader of the common protestant people, as well as a gifted speaker, organiser, journalist, and pamphleteer. 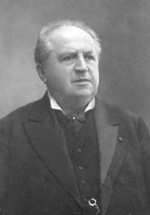 Kuyper popularised his point of view through his newspaper, and he gained the support of the lower-middle class, orthodox protestants, who enthousiastically followed him and considered him their God-given leader against the heathen liberals. Although the law passed, Kuyper’s organisation was an astounding success. Based on it Kuyper founded the first Dutch political party, the ARP (Anti-Revolutionaire Partij; Anti-Revolutionary Party), in 1879. The ARP was the first modern political party, with a party leadership (headed by Kuyper), a party programme (written by Kuyper), and officially approved party candidates for parliament. This superstructure was supported by newspapers and election clubs that spread the anti-revolutionary word throughout the protestant part of the Netherlands. Initially the party had little electoral success, partly due to the district system that was used back then, and because voting rights were restricted to the upper and upper-middle classes who preferred conservatives to anti-revolutionaries. Still, the 1888 election reform helped a lot there. Kuyper wasn’t content with the ARP, though. He also wanted his own church. One of the crucial points of the Reformed faith is that every faithful is allowed to interpret the Bible for himself. Since the Dutch love to disagree about obscure issues that an outsider hardly understands, this aspect of the faith fits the national state of mind quite well, and heated arguments within the Dutch Reformed Church occur with depressing regularity. Historically the Dutch Reformed Church has reacted to such arguments by being rather broad and inclusive. Ideally, every Dutch Reformed, from the nominal church-goers who were essentially liberal to the hard-core orthodox, should feel at home within the church, and although ministers and their flocks might disagree on theological points, the church ought to have room for every one of them. There was a political angle to this whole set-up. Almost all politicians called either “liberal” or “conservative” were Dutch Reformed in name, and although they disagreed on a great many things, they agreed on the fact that the church should play no role in politics and should also unite all protestant Dutch. Because the leadership of the church was formed by these self-same “liberals” and “conservatives,” they had an easy time of controlling it and making sure that the theological disputes were kept far from politics. In other words, the liberal elite that had accepted the new school law was also the leadership of the church that kept it broad and allowed heretic, liberal thoughts. Kuyper’s new coalition of the poorer, more orthodox protestants objected against both parts of this equation. Due to the Reformeds’ desire to split up and the Dutch language’s inability to come up with more than a few synonyms for “Reformed Church,” the innumerable groups all have similar-sounding names even in Dutch. In English it’s worse; part of the vocabulary is lacking. “Hervormd” and “gereformeerd” both translate to English “reformed.” Because there are some fairly important differences between the two I use the untranslated Dutch words. Oh, and “kerk” is “church”. In 1886, after several years of agitation, the Kuyper-led Gereformeerde Kerk split off from the main church, which we’ll call by its Dutch name of Hervormde Kerk from now on. This schism is by far the most important in Dutch history, mainly because the Gereformeerden, through their political vehicle the ARP, were the first protestant group to organise themselves politically in order to conquer the state and reshape it in their protestant image. The theological disputes need not concern us. Suffice it to say that the Gereformeerde church considered itself far more Orthodox than the Hervormden, interpreted the Bible somewhat more literally, and gave local churches a higher level of autonomy. Not coincidentally, that higher level of autonomy caused a higher level of split-offs, too. Nowadays there are dozens of Gereformeerde churches, and to make matters even more complicated there are also the so-called “Hervormd-Gereformeerden,” groups that sympathise with the Gereformeerden but remain within the Hervormde church. Thus, the protestants have always considered three the absolute minimum of parties they need in order to represent themselves. That’s what makes the study of the protestant denomination so complicated, even for Dutch. This new, potent duality of Gereformeerde Kerk and Anti-Revolutionary Party enthousiastically entered the school struggle, which was to become one of the defining factors of Dutch politics for years to come. In the early 19th century the Dutch state had set up a first-class system of state-subsidised primary schools that was the envy of Europe. (Secondary schools and universities were distinctly less good, though.) Because the country was so divided between catholics and protestants, these state schools would be neutral. They’d pay attention to general christian values, but would not repeat the teachings of a specific church. One important point was Bible reading. Protestants are required to read the Bible for themselves and form an opinion, while catholics are forbidden to do so and should leave it to their priests. What was a neutral school to do? Kuyper’s point was that the Gereformeerden should be allowed to found their own school system, in which their children would be reared in the proper Gereformeerde faith instead of the state-sponsored godless neutrality. Now nothing prevented anyone from founding a “school with the Bible.” It would even get some money from the national government, but the city and town government did not pay for buildings and teachers, as they did for the public, religiously neutral schools. Even extending the school subsidy programme to include the religious schools was within the realm of the possible, but, said the ruling liberals, then government would also be allowed to set part of the curriculum. Since the Gereformeerden wanted to avoid having to teach dangerous novelties such as the evolution theory, negotiations broke down here. Kuyper wanted state money without state oversight, and that went too far to the liberals. We will not treat all the interminable phases of the school struggle, or the many legislative proposals or counter-proposals. Suffice it to say that the school struggle became the touchstone of a vicious culture war in the Netherlands, with protestants and liberals taking opposite positions that gradually hardened and became dogma. Kuyper never allowed the school struggle to die down; it was his most potent political weapon for close to forty years, and it made the ARP the leading party of the country, even though it never was the largest one. The school struggle took on a new dimension when it was discovered that the catholics, too, had problems with state school neutrality. In the 1870s catholics and anti-revolutionaries started to support each other when confronted with the liberal demand for continuing neutrality of state-subsidised schools. This led Kuyper to formulate the theory of the Antithesis. Essentially, he saw all faith-based political parties or groupings as natural allies against the secular liberals (and later, the socialists), and he held that these parties should support each other in the spread of God’s word throughout Dutch politics, as well as in the solving of practical problems such as the school struggle. Thus, Kuyper created the catholic/protestant alliance. From 1888 to 1918 the protestant/catholic block was opposed to the liberal block, and political power switched between the two. The electoral reforms of 1918 brought the christian parties the absolute majority, which they lost only in 1967. Catholics and protestants reacted by merging their parties into the CDA, which to this day stands at the centre of any Dutch political calculation. Although the Antithesis is all but forgotten as a political theory, its effects still rule Dutch politics. In the 19th century the anti-revolutionaries were the clear leaders of the christian movement; although the catholics in fact had more seats and demanded a few ministers in any christian government, it was the ARP that steered the alliance as a whole through its struggle with the liberals. “Denominational segregation” is the non-literal translation of Dutch “verzuiling.” This word literally means “pillarisation,” which is ugly English. The underlying idea of Kuyper’s actions was that Gereformeerden (and, by extension, any group) would have the right to organise their own society within the larger whole of Dutch society. This was the true meaning of his founding of the ARP, the Gereformeerde Kerk, and his insistence on separate schools for protestants (as well as catholics). In this spirit Kuyper founded protestant newspapers, a Gereformeerde university (the Free University in Amsterdam), trade unions, social and sports clubs, and any kind of organisation that protestant people might conceivably need. Kuyper’s creation of the anti-revolutionary mini-society was so succesful that the other political denominations followed his example. As a result, from about 1900 to 1970 Dutch society was split into four “pillars,” one each for the socialist, catholic, protestant, and liberal denominations. The broadcast question of the 1920s is an excellent example of how denominational segregation worked in practice. In 1923 a private company started the sale of a revolutionary new product: radio sets. The chief sales officer was quick to point out that sales would soar if buyers could actually listen to something on their new purchase. Therefore the company started broadcasting radio from its corporate headquarters in Hilversum, near Amsterdam. It founded the first Dutch broadcasting corporation, the AVRO. Broadcasts were commercial; anyone who wanted to buy time on the radio station could do so. This, now, was a danger to the denominations. Although the AVRO presented itself as non-denominational, that was quickly equated with liberal, and devout, hard-working protestant, socialist, or catholic people might get the wrong ideas from listening to such a radio station. A year later the protestants founded their own NCRV broadcast corporation, which rented time on the AVRO station. In 1925 the catholics founded the KRO and the socialists the VARA. Thus all denominations now had their own radio station where only safe, approved programmes were broadcast. Still, the situation was not ideal. Therefore NCRV and KRO combined to create a new broadcasting station which each of them would use for half of the time. Thus, the faithful would not be exposed to secular programmes if they happened to turn on their radio set at the wrong time. Besides, it allowed the catholic priest and protestant minister to easily check what their flock listened to: in order to listen to liberal or socialist broadcasts people would have to move the dial to the “wrong” position. Thus the Antithesis was reinforced, and the catholic/protestant alliance had once more defeated a sinister secular plot. The socialists were happy, too. The only loser was the AVRO, whose idea had been to form a truly national broadcasting corporation. In 1930 government approved this scheme of things, and the socialist/liberal and catholic/protestant radio stations were officially sanctioned. It would take until 1965 before the broadcast question was revisited, and then it caused the fall of government. Broadly speaking, each of the four “pillars” had its own mini-society within the greather whole of Dutch society. Protestants read protestant newspapers, listened to the protestant broadcasting corporation, were members of the protestant social club and the protestant trade union, bought at protestant grocers, and sent their children to a protestant school, a protestant youth camp, and a protestant football club (which did not play on Sundays). According to a popular (though possibly untrue) story, the question whether goats owned by a catholic farmer could mingle with goats owned by a protestant one was hotly debated. If any offspring occurred, which faith would it have? Obviously, the system also had a political component. Each denomination had its own parties, and a faithful member of a denomination would vote for one of them. As a result, Dutch politics, too, came to be divided into four denominations. The catholic and protestant ones were locked in an eternal alliance, to which some liberal or socialist parties were occasionally admitted — or excluded. The protestant denomination is the model for the others, and it is the only one of which a tiny sliver has survived the turmoil of the seventies. The catholics had the immense advantage of being part of a highly organised church that could easily copy the anti-revolutionary ideas. At the height of segregation, the catholic denomination was the most advanced one, since it had the most total grip on its people, and, contrary to the other three, had only one party. The socialists, too, stole a leaf from Kuyper’s book. When the SDAP was founded in 1894, it quickly founded its own societal structures with newspapers, trade unions, social clubs, and so on. Party leaders fondly commented that some workers filled in “Faith: SDAP” in the census. The liberals protested against this split-up of Dutch society. Unfortunately, on this issue they found themselves massively out-voted and out-organised by all other denominations. Although the liberals maintained that they did not form a separate denomination, and preferred to see themselves as the “neutral” or “general” stream within Dutch society, the fact that catholics, protestants, and socialists maintained their own, closed mini-societies in which liberals were not welcome meant that there was little choice but to form a liberal denomination. Of the four the liberals always remained the worst organised denomination. They lacked trade unions and a broadcasting corporation, and in general didn’t play the command-and-control game with as much zeal as the other three. It was less necessary; the liberals had no popular masses to educate, they all came from a solid middle class or higher background. Johannes Tak van Poortvliet (1839-1904), LU minister of Waterstate 1877-1879, interior minister 1891-1894. Tak van Poortvliet started as a clerk for parliament, but became a member of this august body in 1870. He was part of the LU’s left wing. His stint at Waterstate was not succesful; when parliament rejected his proposal to dig a canal between Amsterdam and the Rhine, government resigned. In the 1880s Tak became one of the leaders of the liberal left wing, and when the liberals gained a clear majority in 1891 Tak was generally assumed to become prime minister. However, Queen Regent Emma appointed not Tak but Van Tienhoven former, because she knew the latter personally and was afraid of making a mistake so early in her regency. Van Tienhoven accepted, but understood where the real power was located and invited Tak to join him. Tak accepted on the condition that he become interior minister, that suffrage extension would be a major spearhead of the new government, and that if the extension were rejected, parliament would be disbanded and new elections held. Van Tienhoven and the other ministers accepted this ultimatum without informing the Queen Regent. When Tak unveiled his proposals they split the liberals and protestants, and a sharp discussion ensued in parliament. A liberal MP proposed an amendment that he thought would bridge the gap between pro- and anti-Takkians. He did not want to put Tak in an impossible situation, and Tak seemed to indicate that, although he disliked the amendment, he would accept it. Unbeknownst to parliament, Tak stated in the council of ministers that he would withdraw his proposal if the amendment passed. The amendment passed and Tak withdrew his proposal. Either Tak or Van Tienhoven should have informed parliament of the consequences of accepting the amendment. When Tak now demanded the disbanding of parliament, Van Tienhoven refused and resigned. Tak and the other ministers advised the Queen Regent to disband parliament anyway, and the 1894 elections returned a clear anti-Takkian majority. The Queen Regent learned to make sure she was informed of all the negotiations and promises around government formation; the fall of government had taken her completely by surprise. This has become a constitutional rule. Tak resigned from active politics and died broken and bitter ten years later. Three political issues dominated the last years of the 19th century. In addition to the school struggle they were the extension of voting rights from the well-to-do upper and upper-middle class to the entire people, and solving the social issues created by the ruthless capitalist oppression of the workers. The third issue was slow to take root; parliament first needed an influx of left-liberals and socialists before it began to be taken seriously. The school struggle and extension of voting rights, though, were at the top of everybody’s mind. The problem was that the catholics and protestants wanted their religious schools but not necessarily an extension of voting rights, while the liberals wanted an extension of voting rights but no subsidies for religious schools. And in order to change either a revision of the consitution was necessary, and with that a two-thirds majority in parliament. The 1877-1879 liberal Kappeyne government tried to change the school laws. All public schools would be more heavily subsidised, but in return the state would have more influence on the programme. This was the proposal that Kuyper protested against and that led to the creation of the ARP. In vain: the proposal was accepted, and despite a last-minute plea from protestants and catholics the King signed the law. Still, this battle had one winner: the modern party organisation, exemplified by the ARP, but copied by the other denominations. Although the ARP remained by far the best organised party until the rise of the social-democrats, it got increasingly stiff competition from liberals and catholics. Worse, it ran into internal problems. Voting right extension was a problem because the Yes and No camps didn’t conform to party lines. In general and as a matter of high principle the liberals were in favour of extension, although some (former) conservatives wondered whether it had to be done right now. The anti-revolutionaries were divided on the issue. On the one hand, many newly minted protestant voters were expected to support the party, on the other hand the ARP, too, had a powerful conservative wing that was led by Lohman, who was also the ARP’s parliamentary leader. These conservatives were supported by the catholics, who rejected voting rights extension. It fell to former prime minister Heemskerk, an old-school conservative himself, to form a new government and decide on a moderate extension of the vote based on property. This was more-or-less acceptable to the conservative liberals and anti-revolutionaries. Nonetheless, anti-revolutionaries and catholics now combined against government in order to demand school equality in exchange for their support for the voting rights extension. Heemskerk now tried to please the anti-revolutionaries, which was rejected by the liberals, then tried to tack more in the liberal direction, which caused the anti-revolutionaries to threaten to reject the entire new constitution. In the end the electoral threshold became slightly higher than originally planned, and subsidising religious schools was made possible (though not required). Thus amended, the new constitution passed. Voting rights were now held by about 20% of the male population. The number of seats in parliament was fixed at 100, all of which would be elected once every four years in single-seat constituencies. The number of voters was roughly doubled. Now the antithetical pendulum started to swing, with now a christian, then a liberal majority. Due to the influx of new, middle-class voters, the catholic/anti-revolutionary alliance won the 1888 elections, the first under the new constitution. Prime minister Heemskerk resigned because of this result; and that was the first time a government decided the elections had been a vote of no confidence. Heemskerk left politics, but his son Heemskerk jr. was elected for the ARP. Based on the election results, a catholic/protestant government was inevitable. This Mackay government added a little bit of subsidy to religious schools, but was rather moderate all in all. In 1890 King Willem III died, to be succeeded by his minor daughter, Wilhelmina. Her mother, Queen Emma, became regent for the next eight years. In 1891 the liberals reconquered the majority, and the left-leaning government decided to make serious work of extending voting rights. To this effect, interior minister Tak van Poortvliet proposed legislation that basically grante voting rights to any male who had a fixed abode and did not receive money from a charitable organisation. The heated debate that followed caused the entire country to split up between pro- and anti-Takkians, who spilled oceans of ink denouncing each other. The split ran straight through all parties. The right-wing liberals split off from the main LU and founded the BVL. Kuyper, who was only too well aware that his power rested on the support of the lower-middle class Gereformeerden, not all of whom were entitled to vote, eventually declared himself pro-Tak. This caused the anti-Takkian right wing of the anti-revolutionaries, led by parliamentary leader Lohman, to split off and, after a series of mergers, found the CHU. Thus the suffrage question split up both liberals and protestants. The catholics, as always, retained their unity. For the moment they rejected extension of the voting rights. Government fell over Tak’s proposals. The 1894 elections resulted in a clear majority for the anti-Takkians. A right-wing liberal government was formed with some support from the catholics. Thus the suffrage question had temporarily broken Kuyper’s alliance. The battle between liberals and protestants was to continue for another twenty years. In addition, the catholics began to organise themselves, and with the socialists an entirely new denomination entered Dutch politics. All this gave rise to the bitter and partisan politics of the Antithesis.